The Raising Expectations Project, run by Federation University Australia in partnership the Centre for Excellence in Child and Family Welfare and La Trobe University, has been announced as the winner of the Best Education Initiative at the 2018 Victorian Protecting Children Awards. The project provides support for people who have grown up in Out of Home Care to thrive in higher education. Around three per cent of people from out of home care attend university, compared to around 40 per cent of the general population. A recent independent evaluation of the Raising Expectations program showed that the number of students from care backgrounds has increased significantly at Federation University Australia since the program started in 2016. “We started with just over twenty care leaver students in 2016 and now have more than 200 continuing enrolments, plus a further group of postgraduate care leavers across the university," Associate Professor Jacqueline Wilson said. FedUni has benefited greatly from care leavers’ growing involvement in our undergraduate and postgraduate programs, and we look forward to welcoming care leavers to the university in future. Associate Professor Wilson, her team at the Collaborative Research Centre in Australian History, and other support staff at FedUni have contributed to achieving this outstanding result for our students. The 'Raising Expectations' program is an important part of the university's commitment to applied research, particularly in the field of historical justice. 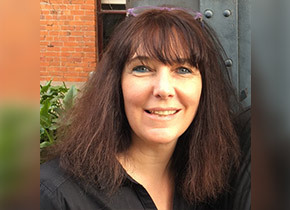 Associate Professor Jacqueline Wilson is in Ireland giving keynote presentations at conferences in Galway, Dublin and Belfast, where FedUni’s work in this field is being recognised widely. “The Raising Expectations program provides one on one support for students who have been part of the Out of Home Care system, providing advice, encouragement and a voice within the unfamiliar systems and processes of the university,” Associate Professor Wilson said. “People from care backgrounds have just as much potential to succeed at university as anyone else. The University has made scholarships available for people from care backgrounds, and has improved the ways in which information is reported. “Without accurate data we don’t know where to target our resources. One of the great achievements of this program has been the way in which information and data can now demonstrate the ways in which our student profile is changing,” Associate Professor Wilson said.